Vacation season is just a month away. If the travel bug has bitten you already, starting a travel journal may be just what you need. A mindful travel journal will help you finalize your plans, organize your travel bucket list, and make the most of your upcoming vacation. A mindful travel journal is not your typical diary—its main purpose is to record or plan travel experiences. In fact, most people use the bullet journal format for their travel journal, complete with logs to monitor travel budgets, calendars to plan itineraries, and charts to plan your luggage checklist. Not sure where to begin? It’s simple. For your travel journal, you’ll need an appropriate notebook. You can use a blank paper notebook or a sketchpad. Then there are the writing utensils—use colorful pens, markers, and stickers to color code your travel writing entries. Next, you’ll have to dedicate time to your travel journal on a daily basis. Write consistently will make preparing for your trip a habit and it will keep you from procrastinating on your travel plans. 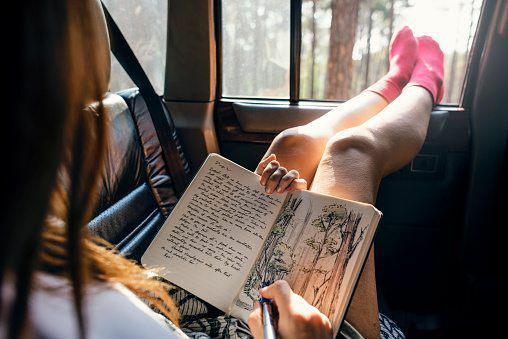 Once you’ve bought your notebook and writing utensils and planned out your writing routine, you’re going to need some travel writing prompts. Fortunately, we’ve listed five helpful tips to help you get started. 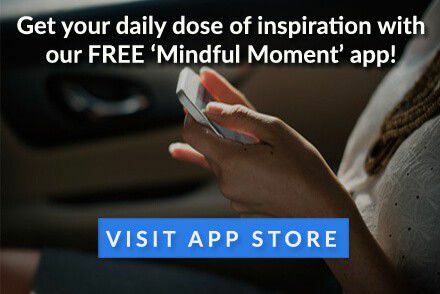 Whether you are planning a road trip, cruise, or overseas luxury trip, these Mindful journal writing prompts are just what you need. We all have a bucket list of the things we want to accomplish in life, from career goals to health achievements. One of the most common features of bucket lists is travel goals. For your travel journal create a travel bucket list. You can use it to narrow down your options for this year’s vacation season. Once you’ve decided on where you’re going, the next big question you need to ask yourself is when. That decision largely depends on whether or not you have the budget for your dream vacation. If you don’t, use a travel journal savings log to keep track of how much you have put away for your dream vacation. One example is listed below. Now that you’re starting to save money, it’s time to start planning how you will spend it. Do research on the city or town you plan to visit and come up with some itinerary ideas. Check out restaurants, entertainment options, historical sites, nightlife opportunities, and more. To help you finalize your plans, you can create another travel bucket list for this specific location. Or you can use a calendar to plan your vacation. Now that you have an idea of what you’ll be doing during your vacation, you can start packing accordingly. Are you going camping? Time to organize your gear. Are you going to see a play while on vacation? You’ll need the appropriate attire. Keep track of everything with a travel journal checklist (like the ones pictured below). What challenges am I likely to face? How will I unwind during this trip? What new experiences do I hope to achieve? Bonus. Looking for other bullet journal ideas? Check out the bullet journal tips.